The Ski-2 Td. can be used passively (without a cable) or with a cable for quick, precision pole plants. Especially useful for nordic (cross-country) skiing where upper body strength is required for propulsion and in alpine (down hill) mogul skiing. Excellent for helping to maintain balance and body posture. Useful in lift lines and for general maneuvering, skating, etc. The Ski-2 Td. 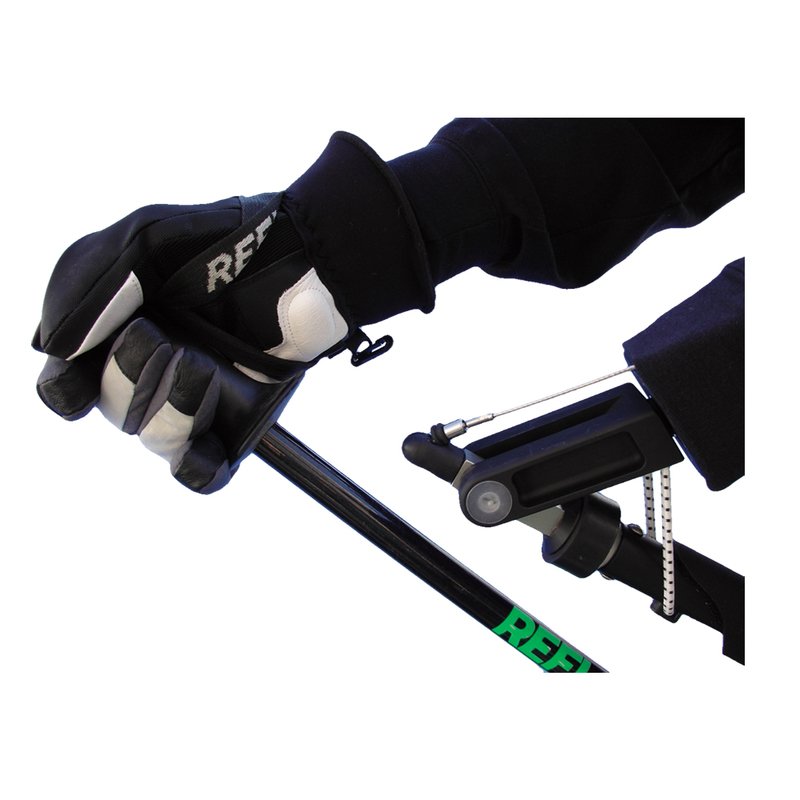 has a quick detach pole system (pole not provided) and a rubber shock absorber mounted in-line to accommodate for pole flexion during a fall. The device does not have a pole “break-away” system but the pole will tear free if snagged from behind. Pole is easily removed for chair lift safety. Pole is held in retracted position by an adjustable tension elastic bungii until extended by a cable pull. Rubber shock absorbers for both beginner/novice and intermediate/experienced skiers are provided. Discuss your skill level when ordering. Useful for youth 11 years old to adult.